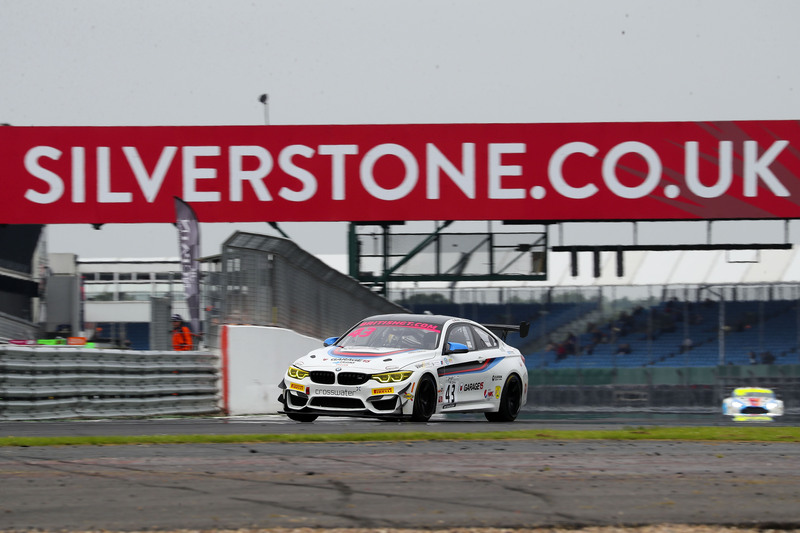 Century Motorsport headed to the British GT Championship’s blue riband event, the Silverstone 500, last weekend (9th – 10th June), with very high hopes after their number 42 BMW M4 GT4 claimed it’s maiden victory at the previous round at Snetterton just two weeks previous. Little did they know that a second win was coming their way, this time in the Burlington and Crosswater sponsored number 43 car! Both free practice sessions went well on Friday with all four drivers showing good pace at the Northamptonshire-based track. Both qualifying sessions got underway on Saturday morning. Ben Green and Aleksander Schjerpen went out first. Green posted the fourth fastest time (third in class) whilst Schjerpen qualified 14th (10th in class). In the second qualifying session, Ben Tuck qualified sixth (fourth in class) and Jack Mitchell qualified fifth fastest (third in class). Due to the format of the Silverstone 500 being just one race, lasting three hours long (the longest race in the British GT Championship), the qualifying results have to be combined in order to form the grid start position. Car 42 (Green and Tuck) started from fifth on the grid whilst car 43 (Schjerpen and Mitchell) started from ninth. Sunday afternoon at 13:10, the 180-minute race got underway in very warm conditions. Both car had an unfortunate start, with Green in car 42 dropping six places off the line and Schjerpen in car 43 dropping nine places. Both drivers stormed their way back up the grid after this and by lap 14, Green was in fifth place and Schjerpen was in 12th. Three laps later, Schjerpen took to the pits for the first driver change and Mitchell then rapidly climbed up the grid finding fifth place by lap 36. Green handed over to Tuck for his first stint on lap 23 where Green had managed to find second place. Tuck left the pits in 10th position and by the time he next handed over to Green on lap 41, he had managed to reach third place, just behind Century’s sister-BMW, car 43, which was in second place at this point. Two laps later, Mitchell had taken the lead but he took to the pits for the next driver change after three laps of leading. Schjerpen then re-entered the race in 10thposition. He really showed some skilful driving and determination, and by lap 57 he had raced up to second position, just behind the race leader, which was now the number 42 car. This was a very tense yet exciting moment for the team as it was looking very much like both of the BMWs could get a podium finish. On lap 58, car 42 dived into the pits for the final mandatory pit stop, leaving car 43 in the lead. Tuck jumped in the car with a long and painful wait in the pits, as an extra 20-seconds was required due to the success penalty given for winning the previous round. Four laps later, car 43 also took to the pits for the final mandatory pit stop. Mitchell re-entered the race in third position with Tuck in car 42 just two positions behind. On lap 66, Tuck was in third position whilst Mitchell had grabbed the lead and from this point onwards, he controlled the race superbly right up until the chequered flag where he claimed victory, making it two consecutive victories for Century. Mitchell also set an impressive new lap record of 2m12.263s at Silverstone in British GT and he received an award for this too. At the two-hour mark of the race, car 42 had set the fastest lap of the race so far, with a time of 2m12.550s, which shows the incredible pace of Century’s drivers. It was looking like car 42 was going to finish in at least third position, which would have been the first double podium finish for the BMWs, however three laps before the finish, the tyres started to give up their grip and this caused Tuck to lose pace and by the final lap, he had dropped down to fifth position, where he crossed the line. Without the 20-second success penalty, car 42 would have finished in second place, which would have given a solid 1-2 for Century. The next round will be held at Spa-Francorchamps in Belgium on 21st – 22nd July where Century will be in search of some more silverware. “It was really surprising. We had a really bad start, I think we were all the way down to 16thor something in the first lap so it was really hard work in my first stint, just trying to pass as many cars as possible. The BMW felt brilliant, it was just flying around the track and it was great to drive. Century Motorsport did a brilliant job in all the pit stops so handing the car over to Jack was no problem at all. Jack obviously did a really good job and he set the fastest lap of the race so he was doing his job. “I’m really happy with the weekend. I think we just chipped away at each session. Aleks has done a good job this weekend, he has worked hard to get his times up and get close to the front which was needed for that win. In qualifying, we didn’t have the best pace coming 9thoverall so we knew the race would be a struggle but we knew our race pace would come into play. We both did a really good job chipping away at the times. Aleks held his position in the second stint and that made my final stint really easy with new tyres and low fuel. Just managed to get some clear laps and treat it a bit like qualifying to get the gap to second place. The last three laps was just keeping it on the circuit and then eventually taking my first win in British GT. Also getting a trophy for fastest lap, which is my first’ fastest lap’ in the championship too, so I am coming away with 2 trophies this weekend. “Practice 1, I think we struggled a little bit but we worked on the set up and knew the changes we needed to make. We made some really positive changes for FP2. The car got better and better all weekend. Quali was really good; we had some great pace based on the setup changes that we made in practice. In the race, Ben had a really good first stint – he dropped down at the start but then he made it back up to fifth by the end of the stint anyway so that was brilliant. Tyres felt good in my first stint, I was able to push on for the whole thing and I think I brought it back in fourth – I made a couple of places up at the start of my stint and managed to bring it back in a strong position and then again Ben had a really good stint after that with the new tyres – I think he came in in the lead by the time he came into the pits so a really good stint there. “The weekend was really good, we had a tough practice session in the morning on Saturday but really worked on the set up and really improved it. We are happy with how that went. It set us up well for qualifying and we started 5thoverall. I had an unlucky race start with a radio glitch where I couldn’t hear Tim on the radio, which meant we lost a load of places off the start – going from 5thto 12thbut then I brought it back to 4thbefore the pit stop. 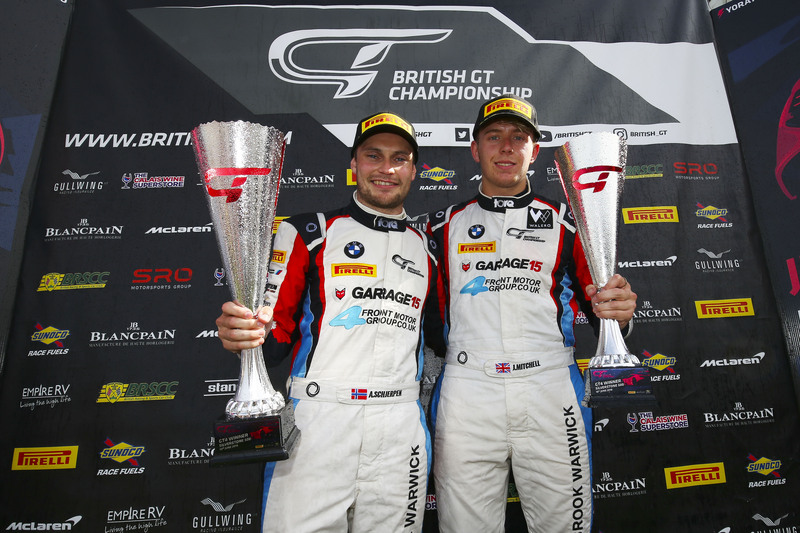 “What another amazing result for Century Motorsport and BMW this weekend. Silverstone is a track that really suits the BMW and we had high hopes ahead of the race. We had a plan and thought out the strategy very well in preparation. Being a 3-hour race it’s a very different approach, and one that rewards thinking outside the box a bit. All the drivers had great stints, the team did a fantastic job in the pits and the car was fast and reliable. I’m so pleased and proud of everyone involved to be winning the most prestigious race on the GT calendar. It was a real shame not to have both cars on the podium, but given that we had a 20second success penalty from Silverstone we always had a mountain to climb there.